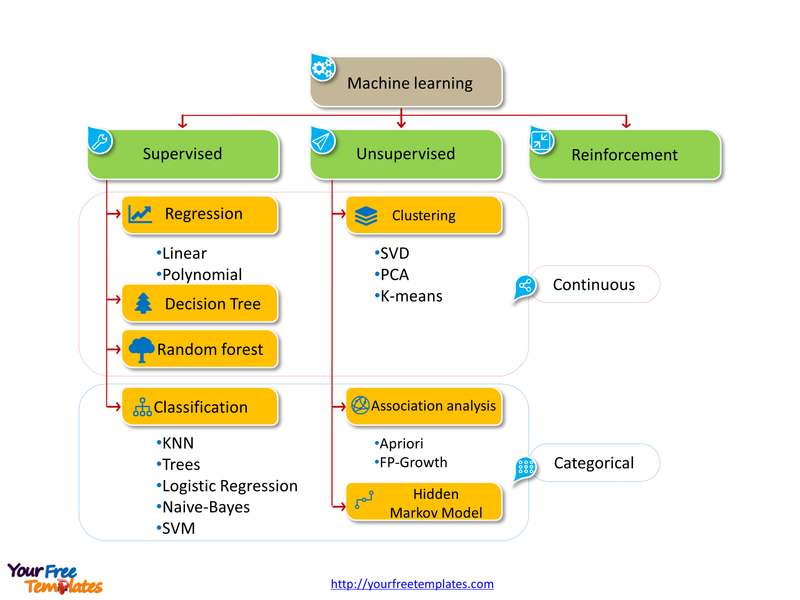 The Machine learning Template in PowerPoint format includes two slides. Firstly there are types of the Statistical machine learning. Secondly supervised learning process is the most important one of the Statistical machine learning. So our PowerPoint templates are including supervised learning, unsupervised learning, and Reinforcement learning. 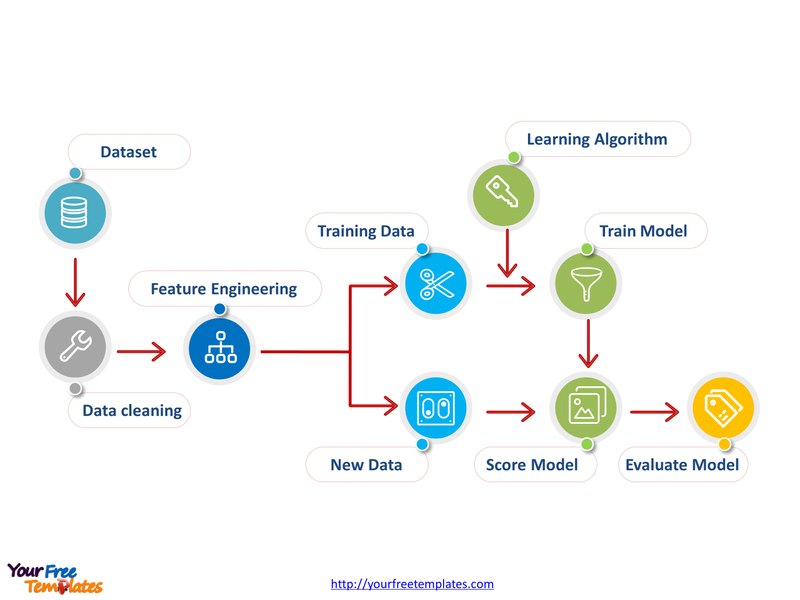 Then Supervised learning process diagram shows the detailed steps. You can also have a look at our Data Mining and Artificial Intelligence PowerPoint templates. The Statistical machine learning PowerPoint templates include two slides. It is evolving from the study of pattern recognition and computational learning theory in artificial intelligence. Then the learning explores the study and construction of algorithms that can learn from and make predictions on data. Finally the learning tasks are typically classified into three broad categories; supervised learning, unsupervised learning, and Reinforcement learning. You can found them in our Statistical machine learning PowerPoint templates. We know that supervised learning is the learning task of inferring a function from labeled training data. Therefore the aim of supervised machine-learning is to build a model that makes predictions based on train data-set. So after data cleaning and feature extraction, data-set is classifying into training data-set and testing one for prediction. Meanwhile algorithms are applying to the training data-set and the training models are developed and selected. Then the selected models will run with the testing data to cross check the accuracy of prediction. Finally the models will be evaluated and modified to improve the prediction. The labels and shapes are layers of different groups. In a word, you can change the texts, colors, sizes, and add your charts. At the same time you can also refer to the detailed Machine learning in Wikipedia. Believe it or not, analysts from marketing research companies, consultants from professional firms think highly of our website yourfreetemplates.com. 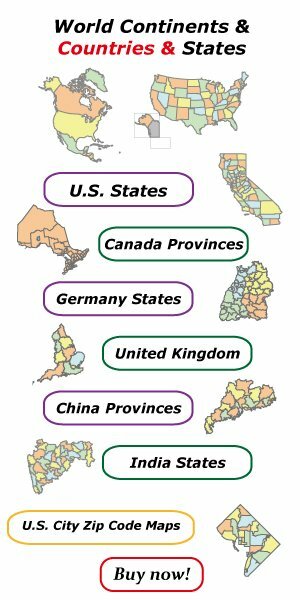 Most important of all, our maps can help to reduce their efforts and create good-looking maps.